Manufactured by Solideal. 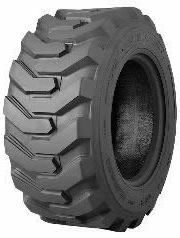 Extra wide profile for bigger footprint and higher flotation. Extra thick sidewall gives added protection against damage and penetration. Extra deep tread means better traction and longer tread life. Extra thick undertread protects against flats.